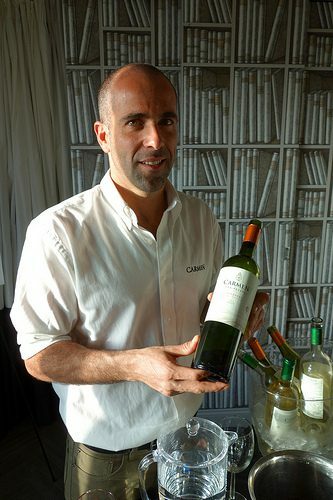 Recently Martín Kaiser, Winemaker at Doña Paula in Argentina, and Sebastián Labbé, Winemaker at Carmen Wines, in Chile visited Santa Monica on a hot summer day to showcase their wines. Overlooking the ocean, it was a treat to meet these men and taste their wines that showcase the best their neighboring countries have to offer. 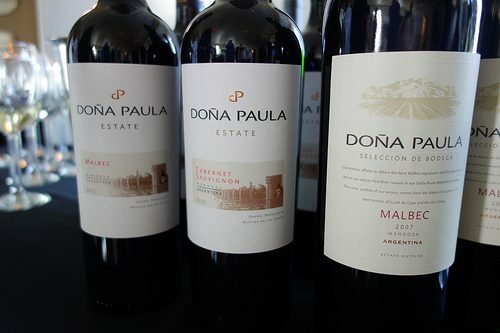 Doña Paula began in 1990 and today owns estates in the best wine growing areas of Argentina. 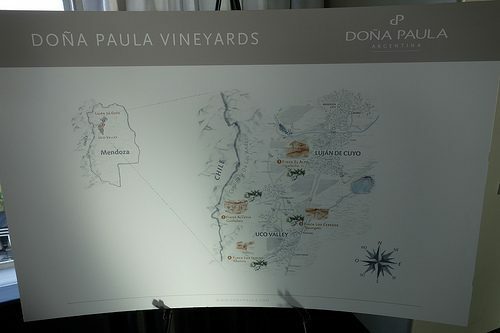 The estates are located in Mendoza and the vineyards are in Ugarteche in Lujan de Cuyo and Tupungato, Gualtallary (Tupungato) and Altamira (San Carlos) in Valle de Uco. 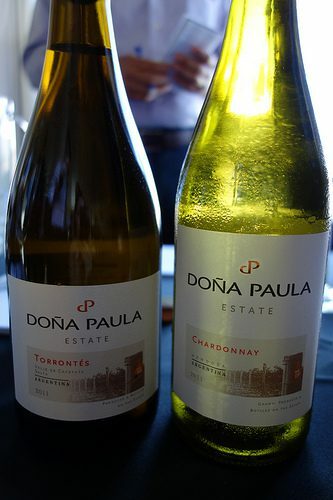 This chardonnay comes from a vineyard that sits at 4000 feet above sea level and is a cold area in Mendoza. The vineyard is only 7 years old and produces a golden yellow wine with notes of tropical fruit and citrus. This torrentes is not estate grown and comes from northern Argentina. The wine has intense floral notes (jasmine, rose, orange blossom) and tropical fruits and is bright and refreshing. The sandy soil of the Uco Valley contributes to the notes of black fruit (plum, black cherry), licorice and herbal aromas. The loam clay soil of the Lujan results in a wine that is fresh tasting, with notes that range from black fruit and spice to vegetal notes. This wine is a blend of the best 3 vineyards form the Ugarteche and the Uco Valley. We got to taste barrel samples of the three vineyards that are blended for the final bottling. As the Ugarteche (Lujan de Cuyo) is further north and a warmer climate, the malbec has gentle tannins and notes of dried fruits and flowers. The malbec from the Gualtallary provides more tannins and notes of darker fruits. 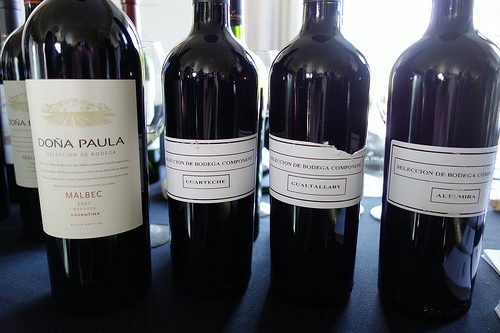 The malbec from Altamira, which is a cooler area with more exposure to the south, have notes of violet and minerality. The resulting blend is an elegant wine with deep violet colors with aromas of black cherry, floral and spices. 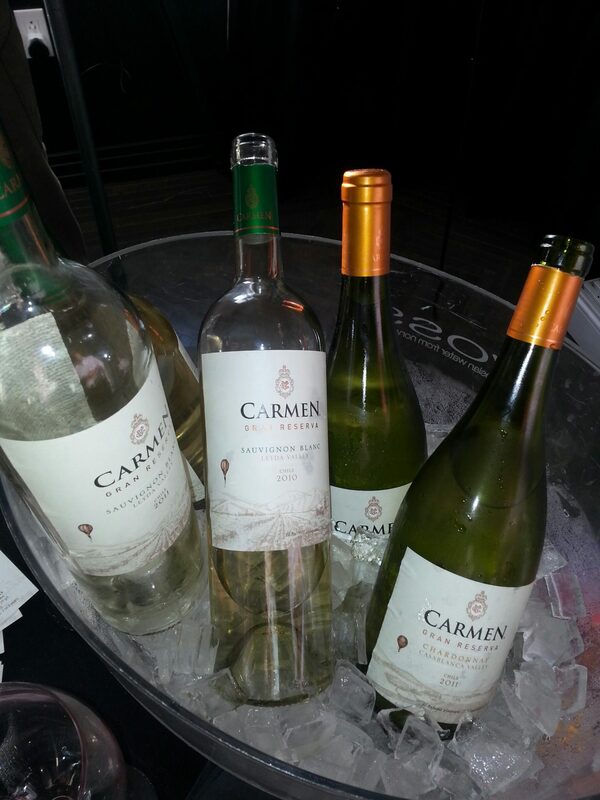 Carmen Wines was started in 1850 by Christian Lanz in honor of his wife and today the winery (a new winery was built in 1992) produces wines that respect the variety and reflect the area of their origin. A cooler vintage, this wine has a creamy texture balanced with acidity. A warmer, wetter vintage, this wine has mineral notes and is brighter and crisper. A gold-yellow color, this chardonnay is pure and bright with notes of fig and apricots. 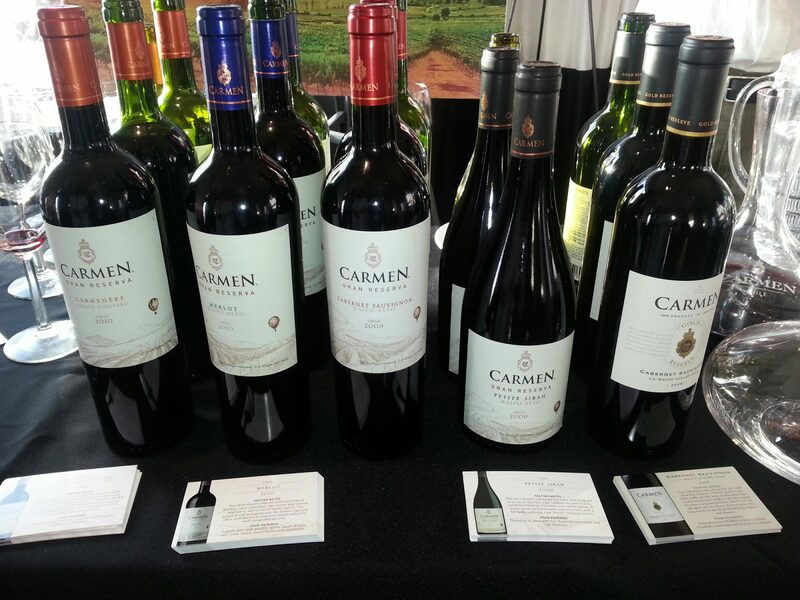 Carmen was the first winery to put Carmenere on the label in 1995. This wine has toasty, earthy aromas and notes of cinnamon, paprika and sweet spices and a soft finish on the palate. A deep garnet red, this big tannic wine has notes of cherries, raspberries, violets and chocolate. The cool area has great clay concentration which rids the wine of any green characters. Instead, there are aromas of blueberry and chocolate and this wine is bright and juicy with soft tannins. 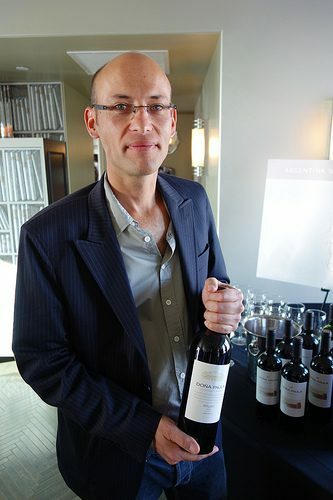 This wine spends 20 months in 100% new barrels and has notes of eucalyptus, mint, cedar and black currant. While the wine is restrained and elegant, it is full of flavor. 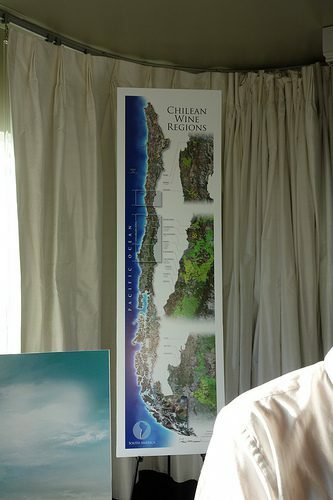 This entry was posted in Wine and tagged Altamira, Argentina, Carmen Wines, Carmenere, Chile, Colchagua Valley, Doña Paula, Gualtallary, Leyda Valley, Lujan de Cuyo, Maipo Alto Valley, Maipo Valley, Malbec, Martín Kaiser, Mendoza, Santa Monica, Sebastián Labbé, Tupungato, Ugarteche, Valle de Uco by Allison Levine.